Through five of the six games on the Blackhawks Circus Trip, the Hawks have been inconsistent in nearly every phase of the game. They’ve alternated wins and losses, with none of the games being decided by fewer than three goals. While there have been a number of players not playing their best on the trip, one position has been specifically troubling. The Blackhawks have been part of 310 faceoffs. Toews has taken 105 draws (33.8% of the total). Toews has won 64 of his faceoffs (61.0%). Blackhawks other than Toews have won only 84 of 206 faceoffs (40.8%). Dave Bolland has won 43 of 94 faceoffs on the trip (45.7%), better than his season average of 41.6%. Patrick Sharp has won only 13 of 39 faceoffs (33.3%). Jake Dowell has won just 14 of 43 faceoffs (32.6%). 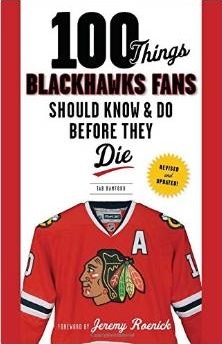 Toews and Sharp have scored eight of the Hawks 20 goals. Bolland has only two points, both assists. These numbers aren’t just a five-game trend, though. For a team that focuses on puck possession, faceoffs are a crucial part of the equation. So far in 2010-11, the Hawks rank 16th in the league and are winning under 50% of their faceoffs as a team; last year the Blackhawks ranked third in the NHL winning 52.4% of their opportunities at the dot. One of the critical issues plaguing the Blackhawks special teams has been faceoffs, especially when the Hawks have the advantage. Chicago is winning only 46.7% of their faceoffs on the power play this year, compared to a more respectable 52% while short-handed. 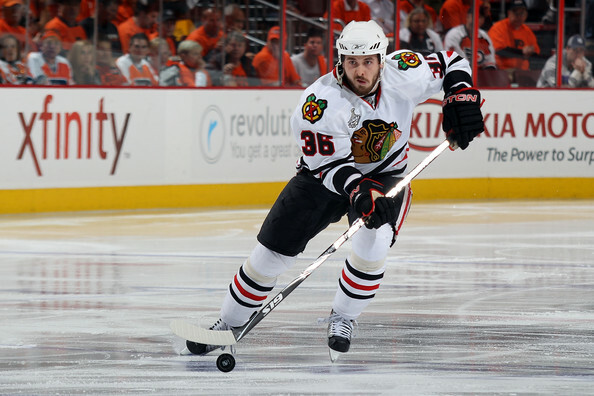 Maybe the biggest problem at center for the Blackhawks has been Bolland. When the Hawks have been short-handed, Bolland has won only 19 of 48 faceoffs (39.6%) this season. Add his faceoffs issues to his five points (one goal, four assists) in 19 games, and his problems have become a concern for the organization. Bolland’s inability to be an impact on the game every night has put a magnifying glass on the great starts of Andrew Ladd and Dustin Byfuglien in Atlanta, and made fans wonder where the harassing player that was so good in the postseason has gone. After all, the same Bolland that was harassing Henrik Sedin, Joe Thornton and Mike Richards in the spring also posted 16 points in 22 postseason games. When the team unloaded the handful of veterans off their championship team over the summer, one of the players that needed to step up his game and perform at the level he did in the postseason was Bolland. If he returned to the form that saw him score 47 points in 2008-09, the loss of key role players like Ladd, Byfuglien and Kris Versteeg wouldn’t be as apparent. He hasn’t, and the Hawks have suffered. Through 24 games, the Hawks have only two winning “streaks” – of four and two games – and have won consecutive games only once in November. If they want to start stringing together victories, they’ll need consistently better play from their centers, especially Bolland.